Join us for a quick look at The Collaborative's Newest Office and a short presentation about their practice. Beverages will be provided! Please meet at 206 S Main St, Ste #231, Ann Arbor @ 5pm on Thursday July 28, 2016. Entrance is right next to Café Felix. 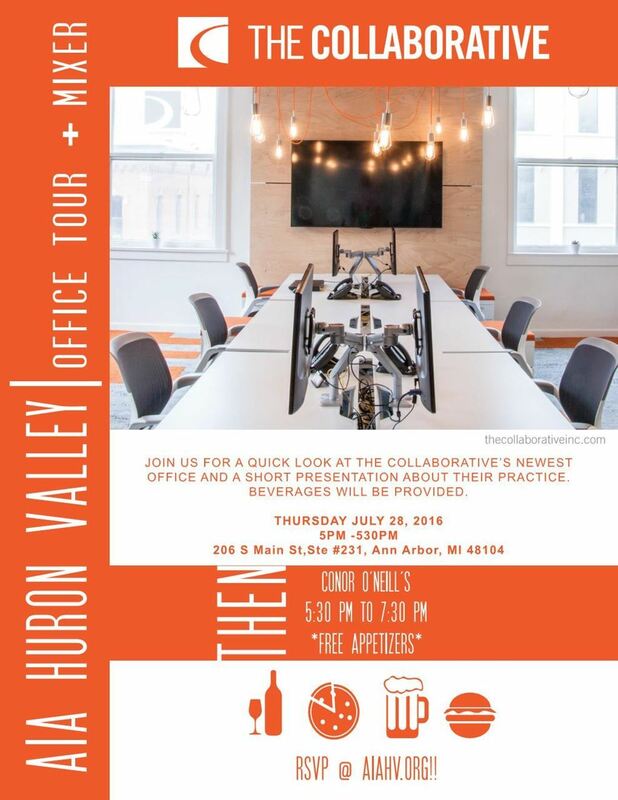 We will then proceed to Conor O'Neill's [318 S Main St, Ann Arbor, MI 48104] right down the street for the monthly AIA Huron Valley Mixer/Meet & Greet with The Collaborative team @ 530! This is open to members and non-members!